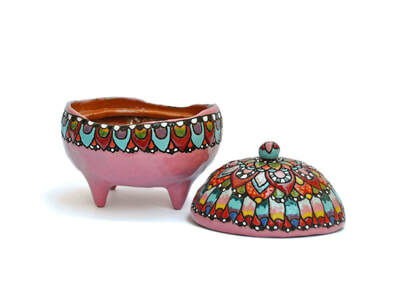 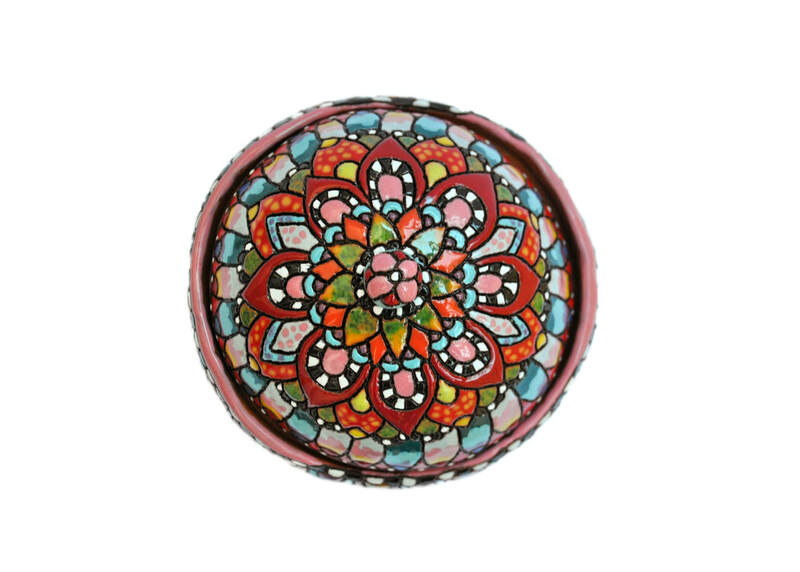 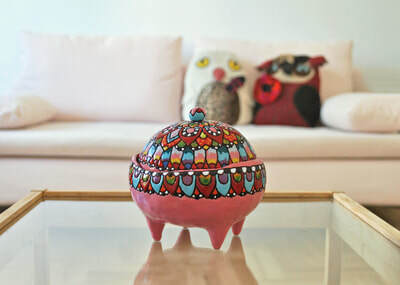 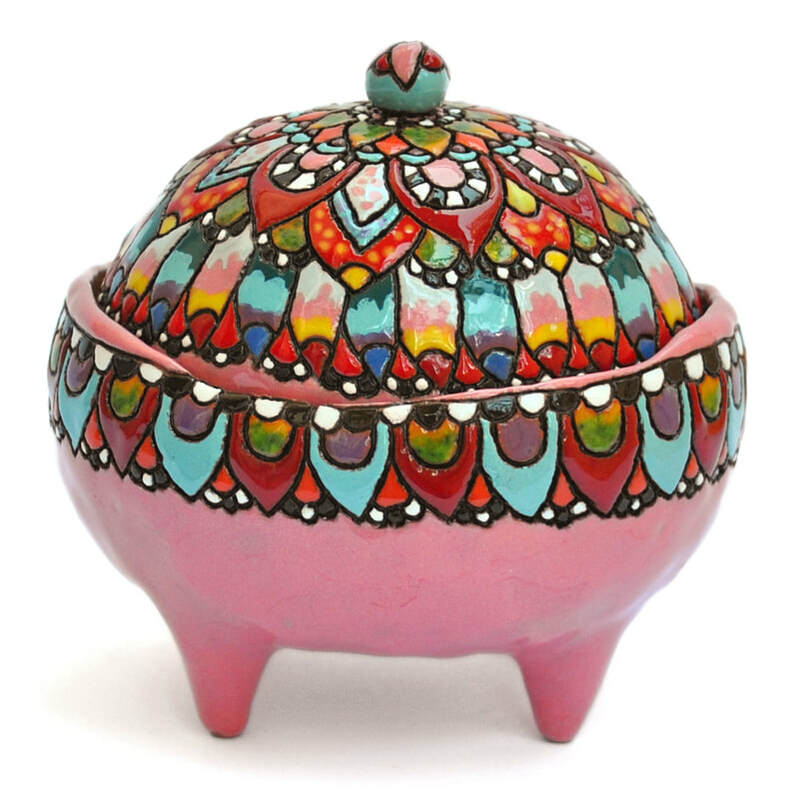 Ceramic miniature mandala jewelry box - cute eye catchy touch to a welcoming home. 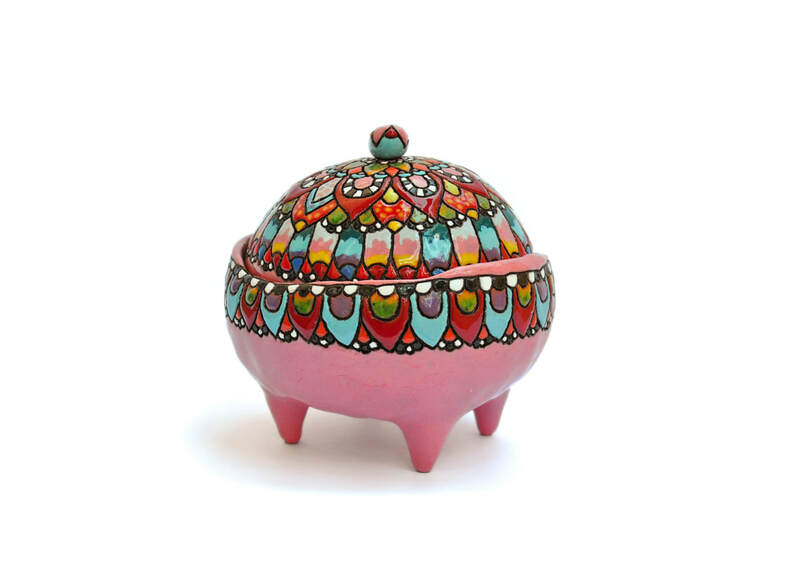 Perfect for storing those special jewelry pieces, small treats or emergency cookies. 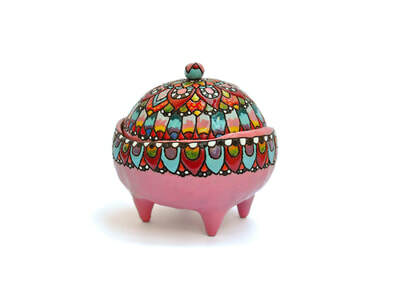 Approximately 11 cm/ 4.3 in tall.